My areas of research interest include early medieval Britain and Europe. I am interested in all things early medieval, including objects, monuments and landscapes, but I’m especially enthralled by exploring early medieval interactions with natural and human altered environments, with particular reference to the role of landscape in definitions of identity, religion and cult practice. This has led to a number collaborations and edited volumes and a single-authored monograph Anglo-Saxon Perceptions of the Prehistoric. Ritual, Religion and Rulership that explores the centrality of the physical remains of the past in the shaping of Anglo-Saxon identity and power. In 2010-13 I joined a collaborative international team exploring the development of administrative and assembly practices in northern Europe from AD 300-1500. The Assembly Project funded by the Humanities in Europe Research Area has examined multidisciplinary evidence for the emergence of assembly sites and administrative frameworks in early historic societies. Results feature in the European Journal of Archaeology (2013), two Special Volumes of the Journal of the North Atlantic and a project monograph is forthcoming in 2018. Long-running research interests in death and burial, landscape and identity, also resulted in a successful bid for a major Leverhulme-funded project People and Place. The Making of the Kingdom of Northumbria. This brings together five academic staff researchers and three PDRAs, and is using evidence from burial records to explore the health, wealth, ethnicity and lifestyle of the first Northumbrians, charting the emergence of one of the largest kingdoms in early medieval Britain in terms of migration, mobility, social stratification, and political aggregation AD 300-800. This is also closely allied to collaborative work with Kate Mees, a British Academy Post-doctoral Fellow, who has joined the department to pursue a research on Funerary Landscapes and Social Change in Early Medieval Northwest Europe, c. AD 400-900. A European focus on early medieval religious landscapes is also underpins a collaboration with Maria Utrero Agudo on CHISEL: Church Building as Industry in Early Medieval Western Europe. While a recent AHRC award for Worked in Stone. Completing the Corpus of Anglo-Saxon Stone Sculpture, is underpinning a final major 3-year programme of research that will bring the seminal and long-running Corpus of Anglo-Saxon Sculpture to completion. My interests in place and power have also led to participation in the AHRC-funded Royal Residences Network which, via discussions and workshops, is reinterpreting an influx of new evidence for royal or elite palace/central place sites in Britain. I also currently enjoying my role as Honorary Editor for the internationally recognised journal Medieval Archaeology, which allows me to keep abreast of the latest research findings in the discipline. As a member of the Editorial Board for the journal World Archaeology, I have also recently jointly edited a Debates in World Archaeology issue, and am currently working an issue on Temporary Sites and Gathering Places. In 2013 I completed a collaborative project funded by English Heritage, exploring the internationally important monastic sites of Wearmouth and Jarrow. One Monastery in Two Places used a combination of non-intrusive survey techniques and digital data resources to explore the fabric of the buildings and the impact of these monasteries on the immediate and wider hinterlands and results were published in 2013 as Wearmouth and Jarrow. Northumbrian Monasteries in an Historic Landscape. Further field involvements include field investigation at Yeavering, Northumberland. The Yeavering Project is in collaboration with The Gefrin Trust and additional fieldwork and survey is planned for 2017-18, along with the publication of a Resource Assessment and Research Agenda for the site. I’m committed to furthering research of all kinds on early medieval societies and am delighted presently to be supervising PhD students working on a wide range of projects including Anglo-Saxon mortuary theatre, the recycling of Roman objects in early medieval funerary assemblages, naked human imagery in early medieval art and jewellery sets and dress fittings from 7th-century female graves. I am an active member of the Ritual Religion Belief and Place Research, Artefacts and Landscapes Research Groups and the Institute of Medieval and Early Modern Studies at Durham. Postgraduate enquiries are all aspects of early medieval archaeology are welcome, particularly on early medieval palace sites and their hinterlands, sculpture in its landscape context, early medieval artefacts - particularly different tool sets, elite funerary rites and burial rites, and in a more modern vein, landscapes and architectures of consensus, power and authority. Member of the UK Steering Group for the Internationales Sachsensymposium (2011-): Member (by invitation) of the UK Steering Group for the Sachsensymposium, a European Seminar Series. Trustee for the Gefrin Trust (2012-): Independent trust with responsibility for protecting, managing and furthering research at the early medieval site of Yeavering, Northumberland. Semple, S.J. (2013). Perceptions of the Prehistoric in Anglo-Saxon England: Religion, Ritual and Rulership in the Landscape. Oxford: Oxford University Press. Turner, S., Semple, S. J. & Turner, A. (2013). Wearmouth and Jarrow: Northumbrian Monasteries in an Historic Landscape. Hatfield, Hertfordshire: English Heritage. Semple, S., Orsini, C. & Mui, S. (2017). At the Limits: Frontiers and Boundaries in Early Medieval Northern Europe. In Life on the Edge: Social, Political and Religious Frontiers in Early Medieval Europe. Semple, S., Orsini, C. & Mui, S. Braunschweig: Braunschweigisches Landesmuseum. 6: 7-25. Semple, S., Buchanan, B., Harrington, S., Oliver, D. & Petts, D. (2017). Power at the Edge: Yeavering, Northumberland, England. In Life on the Edge: Social, Political and Religious Frontiers in Early Medieval Europe. Semple, S., Orsini, C. & Mui, S. Braunschweig: Braunschweigisches Landesmuseum. 6: 91-112. Semple, S. & Williams, H. (2015). Landmarks of the Dead: Exploring Anglo-Saxon Mortuary Geographies. In The Material Culture of the Built Environment in the Anglo-Saxon World. Clegg Hyer, M. & Owen-Crocker, G. Liverpool: Liverpool University Press. II: 137-161. Semple, S. (2015). The Pre-Christian Landscape in Anglo-Saxon England. In Dying Gods - Religious beliefs in northern and eastern Europe in the time of Christianisation. Ruhmann, C. & Brieske, V. Stuttgart: Niedersächsischen Landesmuseum Hannover In Kommission bei Konrad Theiss Verlag. 5: 101-110. Reynolds, A. & Semple, S. (2012). Digging for names: archeology and place-names in the Avebury Region. In Sense of Place in Anglo-Saxon England. Jones, R. & Semple, S Shaun Tyas. 76-100. Jones, R. & Semple, S. (2012). Making Sense of Place in Anglo-Saxon England. In Sense of Place in Anglo-Saxon England. Jones, R. & Semple, S. Shaun Tyas. 1-17. Reynolds, A. & Semple, S. (2011). Anglo-Saxon non-funerary weapon depositions. In Studies in Early Anglo-Saxon Art and Archaeology: Papers in Honour of Martin G. Welch. Brookes, S., Harrington, S. & Reynolds, A. Oxford: Archaeopress. 40-48. Semple, S. (2011). Sacred Spaces and Places in Pre-Christian and Conversion Period Anglo-Saxon England. In The Oxford Handbook of Anglo-Saxon Archaeology. Hamerow, H., Hinton, D. A. & Crawford, S. Oxford: University Press. 742-763. Semple, S.J. (2010). In the Open Air. In Signals of Belief in Early England: Anglo-Saxon Paganism Revisited. Carver, M.O.H, Sanmark, A. & Semple, S.J. Oxford: Oxbow. Sanmark, A. & Semple, S. J. (2010). The topography of outdoor assembly sites in Europe with reference to recent field results from Sweden. In Perspectives in Landscape Archaeology. Lewis, H. & Semple, S. J. Oxford: British Archaeological Reports. BAR International Series 2103: 107-119. Semple, S.J. (2009). Recycling the Past: Ancient Monuments and Changing Meanings in Early Medieval Britain. In Antiquaries and Archaists, the Past in the Past, the Past in the Present. Aldrich, M. & Wallis, R. J. Reading: Spire Books Ltd. 29-45. Semple, S.J. (2004). Locations of Assembly in Early Anglo-Saxon England. In Assembly Places and Practices in Medieval Europe. Pantos, A. & Semple, S.J. Dublin: Four Courts Press. 135-154. Jones, R. & Semple, S. (2012). Sense of Place in Anglo-Saxon England. Shaun Tyas. Lewis, H. & Semple, S. J. (2010). Perspectives in Landscape Archaeology. BAR International Series 2103. Oxford: British Archaeological Reports. Carver, M.O.H., Sanmark, A. & Semple, S.J. (2010). Signals of Belief. Anglo-Saxon Paganism Revisited. Oxford: Oxbow. Semple, S. J. & Williams, H. M. R. (2007). Early Medieval Mortuary Practices. Anglo-Saxon Studies in Archaeology and History, 14. Oxford: Oxbow Books. Pantos, A. & Semple, S. J. (2004). Assembly Places and Practices in Medieval Europe. Dublin: Four Courts Press. Griffiths, D., Reynolds, A. & Semple, S. J. (2003). Boundaries in Early Medieval Britain. Anglo-Saxon Studies in History and Archaeology, 12. Oxford: Oxbow Books. Semple, S & Pettitt, P (2017). Debates in World Archaeology. World Archaeology, 59 (5): Routledge, Taylor Francis. Semple, Sarah & Pettitt, Paul (2017). Editorial. World Archaeology 49(5): 569-573. Skinner, A. T. & Semple, S. (2015). Assembly Mounds in the Danelaw: Place-name and Archaeological Evidence in the Historic Landscape. Journal of the North Atlantic 8(sp8): 115-133. Semple, S. J. & Sanmark, A. (2013). 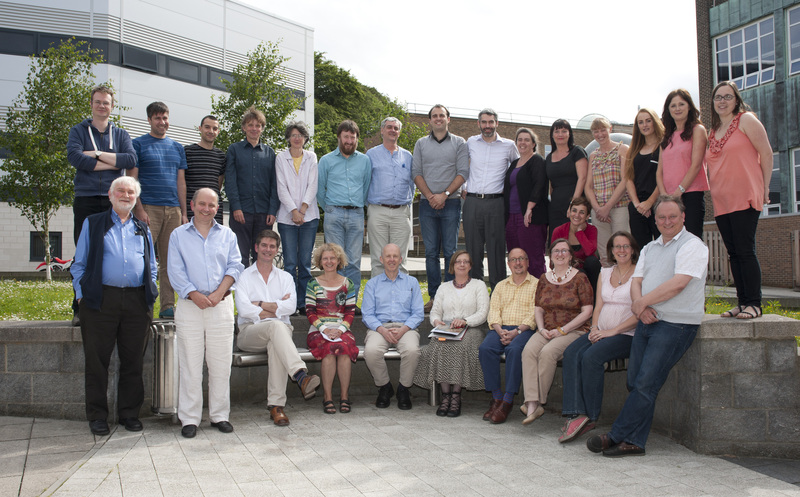 Assembly in North West Europe: collective concerns for early societies?. Journal of European Archaeology 16(3): 518-542. Stephen Mitchell, Neil Price, Ronald Hutton, Catharina Raudvere, Carlo Severi, Miranda Aldhouse-Green, Sarah Semple, Aleks Pluskowski, Martin Carver & Carlo Ginzburg (2010). Witchcraft and Deep Time - a debate at Harvard. Antiquity 84(325): 864-79. Sanmark, A. & Semple, S. J. (2008). Places of Assembly: New Discoveries in Sweden and England. Fornvännen 103(4): 245-259. Semple, S (2007). Defining the OE Hearg: a preliminary archaeological and topographic examination of hearg place names and their hinterlands. Early Medieval Europe 15(4): 364-385. Semple, S. J (2003). Burials and Political Boundaries in the Avebury region, North Wiltshire. Anglo-Saxon Studies in Archaeology and History 12: 72-91. Semple, S.J. (2003). Illustrations of Damnation in Late Anglo-Saxon Manuscripts. Anglo-Saxon England 32: 31-45. Semple, S.J. (1998). A fear of the past: the place of the prehistoric burial mound in the ideology of middle and later Anglo-Saxon England. World Archaeology 30(1): 109-126.